The Borough Board is chaired by the Borough President under the New York City Charter and comprised of the borough’s City Council members and the chairperson of each Community Board in the borough. The Board focuses on issues dealing with land use, development, public policy, budget, and other important matters with potential borough-wide implications. The Board hears presentations from City officials and others and, as part of the land use review process, is sometimes called upon to vote on land use questions that impact more than one Community Board. The Queens Borough Cabinet is chaired by the Borough President under the New York City Charter and comprised of the District Managers of each Community Board in the Borough and representatives from city agencies. It focuses on city service delivery and agency responsiveness across the borough and hears presentations on these issues from City officials and others. 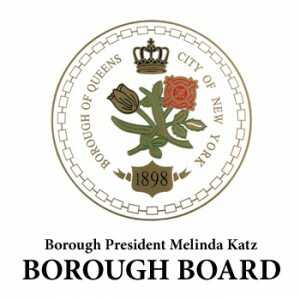 Borough President Katz will chair a joint meeting of the Queens Borough Board and Queens Borough Cabinet on Monday, July 11, at 5:30 pm. The agenda for the meeting will be announced at a later date.